In Dvořák’s chamber music there is so much to enjoy that you hardly know where to begin. Even as it seldom achieves soul-shaking profundity, it features an affable, open-faced, earnest, lovely quality that sometimes sounds almost goofy as well. He’s not unsophisticated, although the thought occurs. Dvořák’s heart is, plenty often, right there on his sleeve, if not overbearingly so. He galumphs and gallops unabashedly, indeed happily, sometimes histrionically. He feels and expresses great sadness, yet he never truly despairs. In higher registers the writing often sounds overwrought, but not too overwrought, so to speak. In my less-mature days I didn’t used to love his chamber works, but now I mostly do—my point being there may be modulation ahead if you too are sometimes put off by the occasionally squalling, then delicious, then wrenching return passages. Regardless of affect, the music’s clear constructions hold the attentive listener, Dvořák being no slouch technically and compositionally. It would be fun to teach some of his chamber pieces. 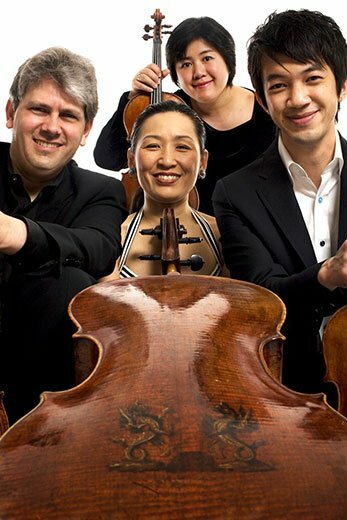 Sunday afternoon at Calderwood Hall, the Borromeo string quartet served up knockout performances of the Quartet No. 11 in C Major, Op. 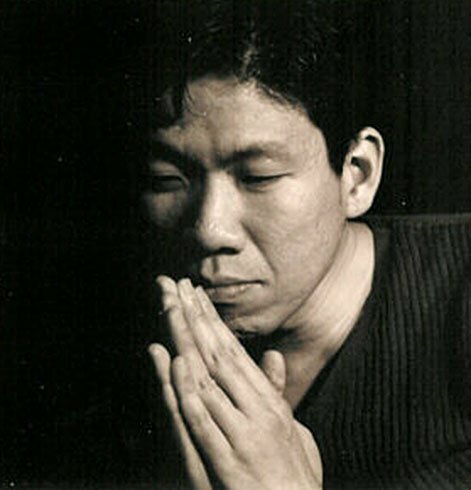 61 and, with Meng-Chieh Liu, the famous Piano Quintet No. 2, Op. 81. Keenest of musical pleasures aside, there’s not much to report. The Borromeo are everything everyone has ever said, the four players strong, careful, and with quite distinctive voices, and together they create an ensemble that, while thankfully is not of the most homogenized creaminess, sounds and looks as blended and expert as any Sochi short-track skating squad. I can’t intelligently pass further judgment about balances because I was seated only 15 feet away, first violin facing. But the result was so ear-poppingly powerful yet refined, adjudicated yet delicate, that nothing else mattered. To ‘hear them if you possibly can’ I would add ‘see them close if you possibly can’, as this is quite the team: fond, intimate, smiling, assured. Quartet 11 opus 61, a commission from when Dvořák was 40, seems slightly sprawling and loose compared with better-known chamber works. Sometimes he appears to run out of complex notions and goes to type and tropes. On the other hand, at the end of the opening Allegro, Dvořák plainly admits, ‘I like this figure so much I don’t want to end the movement’ (or maybe it’s more ‘You’re going to like this so much…’). And my amateur-musician date is still delighted days later by a cascading passage that, three times, lightly, inexorably tumbles down the air in the third movement Scherzo (1:28-1:48 here, in a performance by a Czech quartet less precise than the Borromeo, even if their more leisurely pace perhaps makes the piece hold together a bit better). These 20 seconds’ urgency and ensuing passages somehow look forward sonically to the open-voiced droning of Vaughan Williams, says my ear, while comparatively static and mesmerized moments look back to Schubert, about whom Dvořák wrote a remarkably foresightful essay. First violin Nicholas Kitchen sometimes led the group as though Quartet 11 were a mini-concerto, but surely this sense was partly due to our close seating. That, combined with the clear Calderwood acoustic, did permit close aural and visual inspection of four marvelous instruments: Kitchen’s penetrating Guarneri, second violinist Kristopher Tong’s scrumptious Strad, Mai Motobuchi’s big modern Moes and Moes viola, and Yeesun Kim’s 16th-century Peregrino cello, from fully four centuries earlier. The second piano quintet was written a few years later but sounds more mature than that, more intelligibly formed, fuller and more complete. This performance covered itself in glory, Bohemian and other. You might say the great pianist Meng-Chieh Liu presided over all, but that may be only because he looks so magisterial, seamlessly poised and full of aplomb while always ready to pounce, and he plays as he looks. More Schubert to Vaughan Williams associations were to be revealed, with much Brahms in between, except that when Dvořák anguishes he does it ever so much more sweetly. Plus usually he gets to dive into some rocking polka-like thing, and do the Borromeo ever rock. At the opposite end of semi-hokiness was the ending of the opening Allegro, absolutely transcendent, with the middle of the Scherzo third movement even more so. I can’t wait for the recital (part V of the Borromeo’s Dvořák Project) to be posted online, probably here.